Your decision to once again postpone the hearing for Bresha Meadows is unconscionable. A 15-year-old girl has been incarcerated for 117 days without a hearing! A girl who has suffered untold physical and mental abuse. Who has been additionally traumatized watching that abuse carried out on her mother and siblings. And now she’s locked away without a hearing, and will continue to be so through the holidays. She already spent one birthday in jail. Now Christmas and New Year’s are added to the list. Your duty is to uphold justice. This is an abomination of justice. Bresha Meadows acted in self-defense. Speak to any trauma specialist about the impact abuse – particularly ongoing abuse – has on a person’s physiological health. Spend time with children that have grown up in abusive households. Before moving to Arizona a few months ago, I volunteered at a women’s center that served victim/survivors of domestic and sexual abuse. I played with children as their moms signed up for services. The mark that family violence had left on these children was unmistakable. The toddler who knows how to walk but still crawls. The young boy who constantly says the name of his older sister to make sure she’s around. The young girl frightened by the loud sounds of other kids and who immediately searches for the door. The young girl who play-acts with the baby doll: Be quiet! Or he’ll hear us. 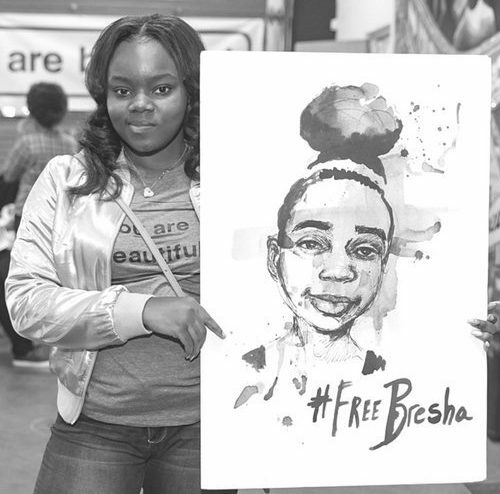 Bresha needs counseling and healing. Not incarceration. You are personally adding to her trauma. She has survived abuse, yet is being punished. At minimum, she deserves her day in court – and for it to be swift. You are keeping a child locked away for 177 days. Again, this is unconscionable. It is immoral. It is disgraceful. And there is no guarantee you won’t push her hearing date back yet again. Enough! Are you willing to uphold a system that ignores the pain and suffering of children – particularly girls of color? Are you willing to uphold a system that adds to the pain and suffering endured by survivors of abuse? Your actions thus far are doing exactly that. You have the power to rectify this. Justice demands it. 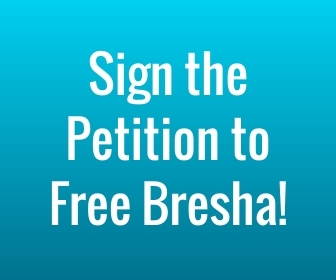 Bresha belongs with her family and receiving care and support for her trauma. Make this happen.